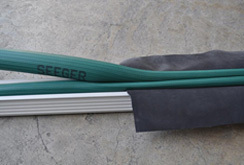 The Seeger-Tube is used to hold the Membrane into the Seeger-Profile, making it air-tight. The tube can either be filled with air or a mix of water with anti-freeze. 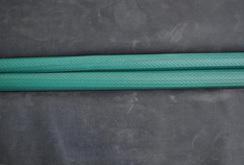 The Seeger-Synthetic tube, available in three different sizes with a diameter of 2.0 cm, 2.5 cm or 3.8 cm, and holds air pressure up to 20 bar. The Seeger-EPDM tube, with a diameter of 2.1 cm and holds air pressure up to 2.5 bar. In the following link you will find additional technical information regarding the Seeger-Tube.